Home sellers: if you are thinking about selling your home, be careful with your paint. 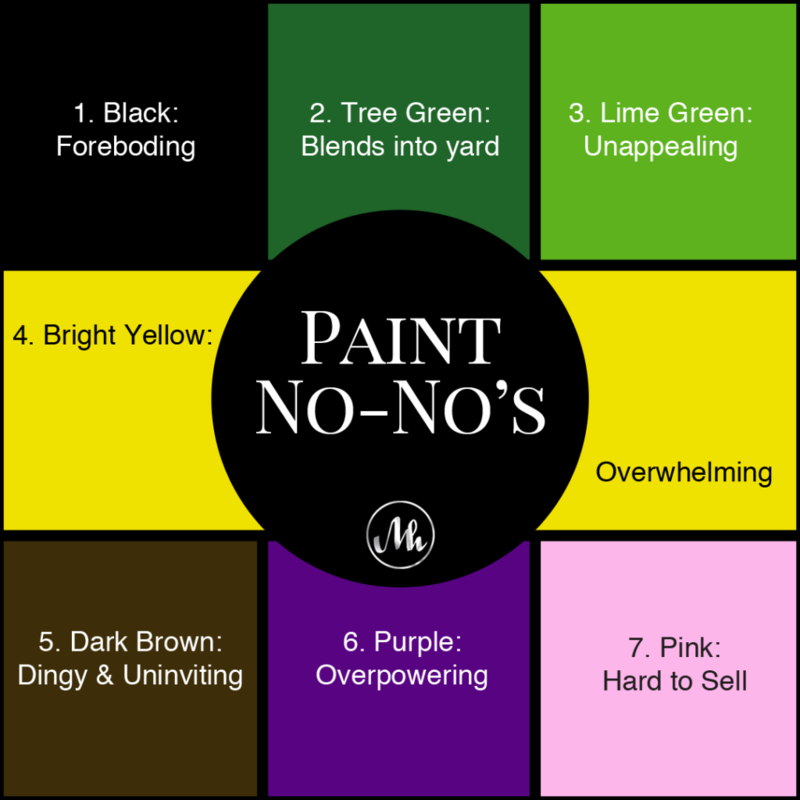 Here’s a great tip from 🧔 Bob Vila regarding paint 🎨 colors that could scare 😨 your buyers away! We’ve included a graphic with the colors and brief description. Black is too foreboding and not welcoming to buyers. This is definitely the number one color to avoid. Tree green isn’t for everyone, and will cause your home to blend into the yard, reducing it’s curb appeal. Lime green is unappealing, and a color best used for accents. Bright yellow is overwhelming, and although considered a happy color; it’s too much for your home. Dark brown is dingy & uninviting. Home sellers should consider a lighter, more neutral shade of brown. Purple is overpowering, and unless you have a Victorian home, this should be avoided at all costs. Pink is unwanted for the exterior of a home. Home sellers should consider painting a neutral color over all pink walls. Want more home selling advice? Give us a shout, we’re happy to help you get your home in the best shape to sell.